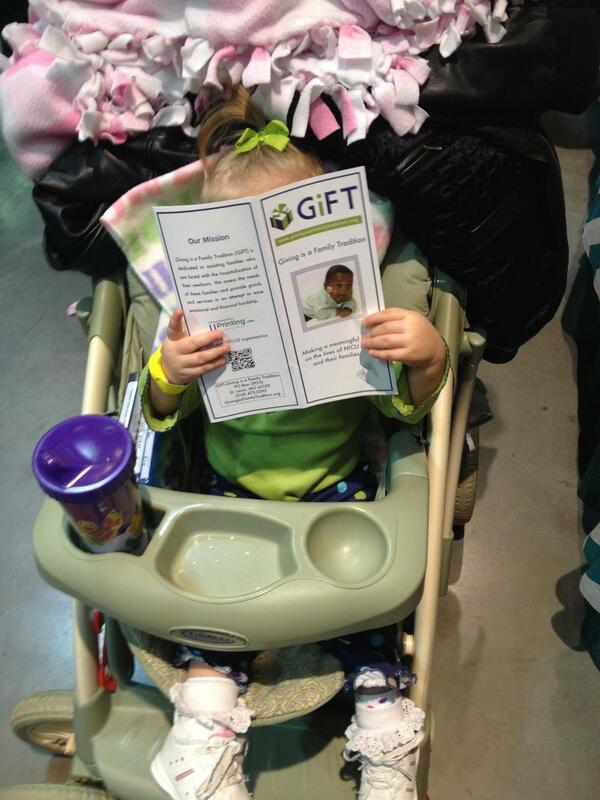 Distribution Team: Help put packages of infant care essentials together for GiFT families. The Distribution Center needs volunteers each Monday 6:30-8:30 p.m. and each Thursday 10 a.m.- 2 p.m. Use the Sign up form posted at the top of this page to sign up. Group Opportunities: Host a baby shower for GiFT's Destination Home program. Organize an art project to decorate our distribution bags. Invite your group to write love letters of encouragement for GiFT families. Family Liaison: Join the Family Liaison team and get involved with the families that GiFT serves. Administrative Team: Help out with website management, data entry, social media marketing, create flyers, logistics, inventory management, answering/returning calls, or other office related tasks. Join a Committee: Holiday Project and Events committees are active now, join our team and make an impact! We have community outreach events on the calendar! Help organize and promote one of these fun events. Write a Grant: Get involved in editing and writing proposals for grants for our organization. GiFT at the "WIndow on St. Louis"